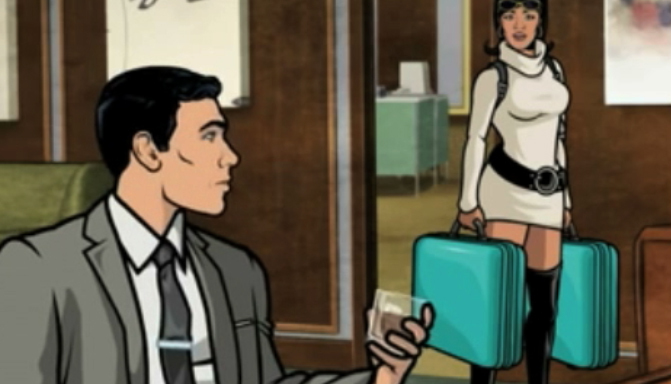 Man, I love me some Archer. I re-watched the entire first season this past week on Hulu, pausing only to change out pee-stained shorts periodically. Purchasers of GoogleTV devices like Sony’s Internet TV and the any-day-now Logitech Revue could have done the same, except that just about every network but Fox promptly stamped their 404s on the foreheads of Google’s early adopters, just like they did with Boxee and any other company that offered set-top devices with “internet content” as part of their feature set. It would have made sense to maybe talk to the networks prior to releasing the device, but at my country club they call this level of preparation before launching products “par for the course” for Google. Maybe that’s why they adore that beta tag. On a related topic, I really love the new iMovie ’11 instant replay effect. Update (11/11): Looks like Fox has slammed the door on Google too. I can almost picture the looks of astonishment in Mountain View. Anyone familiar with Google’s MO of serving up possibility and letting other parties botch the execution (Android OTA updates, app store, pre-installed carrier crapware, handset manufacturer UI overlays, etc., etc.) aren’t surprised in the least. Update 2 (11/22): Add Viacom to the list, including obscure channels such as MTV and Comedy Central. But hey: for $300, you can IMDB the show you’re watching right on the screen.